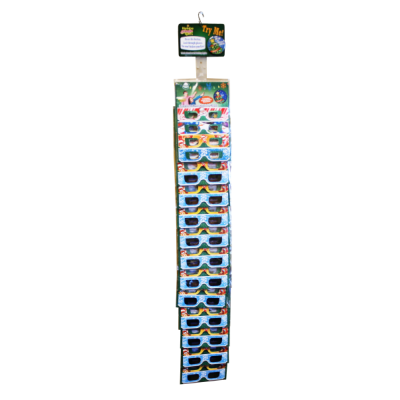 Holiday Magic Specs 4 Pack - Here is the new counter display that holds 18 of the 4-packs. 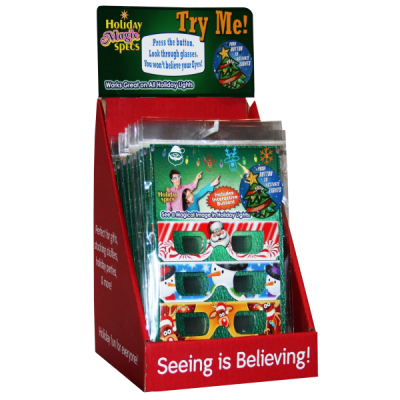 Holiday Magic Specs 4 Pack - Here is the new clip-strip display that holds 12 of the 4-packs. 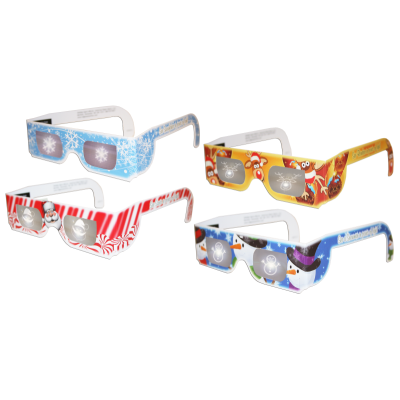 Holiday Magic Specs 4 Pack - This limited edition Holiday Magic Specs 4-Pack includes Snowflake, Santa, Snowman, and Reindeer glasses. All retail 4-Packs include an interactive LED light-up button that is specially designed to bring the magical images to life, creating a complete holiday gift experience. 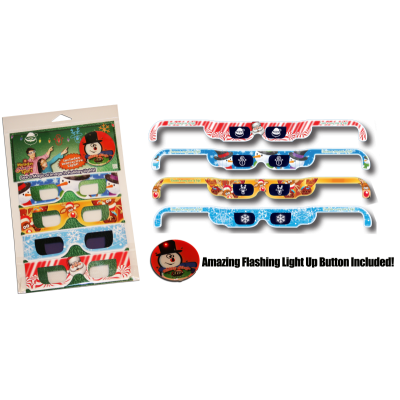 Holiday Magic Specs 4-Packs are great for party favors, holiday gifts, holiday light displays, and just about anywhere that Christmas lights are displayed! 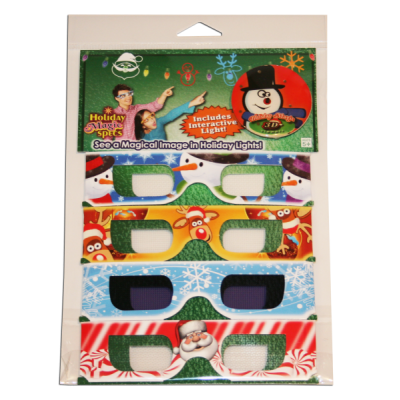 Holiday Magic Specs 4 Pack This limited edition Holiday Magic Specs 4-Pack includes Snowflake, Santa, Snowman, and Reindeer glasses. All retail 4-Packs include an interactive LED light-up button that is specially designed to bring the magical images to life, creating a complete holiday gift experience. Holiday Magic Specs 4-Packs are great for party favors, holiday gifts, holiday light displays, and just about anywhere that Christmas lights are displayed!